I am a little late in posting but I hope everyone had a fabulous 4th of July! As per usual for me...I bonded with my friends and family by taking photos. I seriously can not help myself. 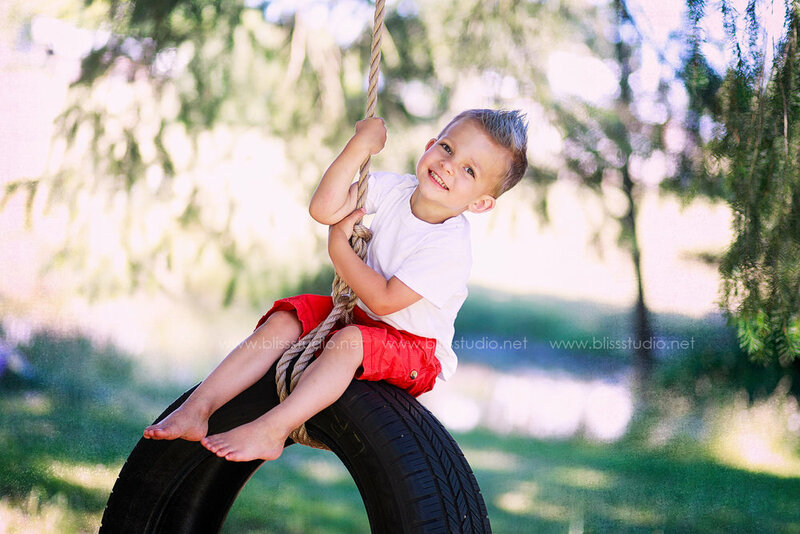 I have an event covered with adorable kids, beautiful light, cute attire....How can I resist? So instead of making it a negative I tell everyone it is how I bond. Which is honestly probably closer to the truth then I even realize. The kids are so used to this now they try to get new clothes by bribing ME with taking their photos. Imagine that. Ha. A very good friend and honorary family member, hooked us up with a Tire swing for the holiday. I really wanted it for Vintage Fields event (coming up soon!) but I am not sure why we waited so long to get one up! The kids LOVE it! They have been playing on it non-stop and of course allowed me to take a bunch of photos of them! Win/Win for me! Be sure to check out the Vintage Fields post if you are interested in getting photos taken of your kids. This tire swing will be one of the props we can use!